The Bronze Horse | Just Shooting Memories! Around the Bend Just A Hill? My wife and kids actually brought this to my attention. I had seen it before, but did not slow down enough to read the sign. 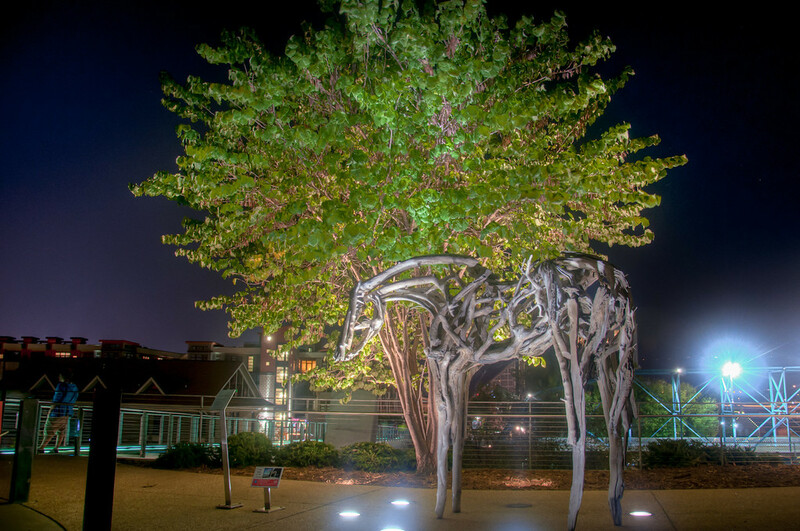 This horse is located just in front of the Hunter museum in Chattanooga. When I first saw it, I thought it was made out of petrified wood or something similar. However, it is made out of bronze. It was not until I touched it that I actually believed it. It took me a little while to get this shot. It was just after the concert ending the Chattanooga River Rocks festival and there were people all over.